The Environment Agency is warning residents in the North West of England that the area is at risk of drought unless there is substantial rainfall in the next two months. Reservoirs in the region are expected to fall further than their already low levels during July and August. “Environmental damage” is also a risk in the South West, Wales and central England said the agency. In spite of the large amount of snow over the winter, much of the country has recorded below average rainfall for each month so far. From January to April the North West and Wales had their driest first four months since 1964 and 1976 respectively, the agency said. 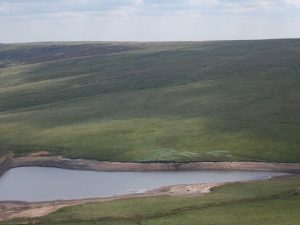 The Environment Agency’s national drought coordinator Stuart Sampson, said that water levels in one Lake District reservoir which should be 80 per cent full at this time of year had fallen below 69 per cent. “Other nearby reservoirs are similarly low. All of these reservoir levels are declining at a rate that is similar to the 1995/96 drought. However, any substantial rainfall could reverse this position.” – Mr. Sampson added. If there is a hosepipe ban – will we see a reduction in our water rates ??????? – I DOUBT IT. How can you therefore enforce a ban on a service that we pay (upfront) for ?? Your comments – haha !!!! Paul you would see a reduction in your water bill if you don’t use so much water and are on a meter. if you’re not on a meter then get on one. if you don’t want to get on a meter because you pay less than you use then stop moaning. Hosepipe ban Northwest of England starts Friday! The hosepipe ban in the North West is the result of the water companies in this area refusing to invest in proper water storage facilities for the area, instead relying on our traditionally heavy rainfall. The Government should force the building of new reservoirs to prevent this happening again. I thought this only affected United Utilities customers? Some of the area concerned includes those where many customers are those of Severn Trent. How does someone reporting me watering my garden know if I am a naughty UU customer or an in-the-clear ST punter? before you start reporting neighbours please ensure that what they are doing is banned and check out what is and isnt allowed. will save yourself a lot of grief. well i’m sure our reservoirs must be almost full by now as the rainfall over the past week has been not stop and apparently, more rain on it’s way! I’ve also just heard on the local news of floods in places like Bolton and local lakes are that full that their about to overflow onto footpaths! So when will our hose pipe ban be lifed?